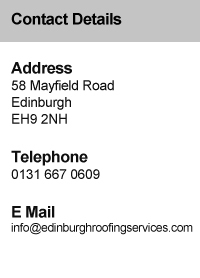 Edinburgh Roofing Services offer a wide range general building work which including Garage Building, Landscaping, Stone Masonry, Lime Mortar Works, Harling, Mono Blocking and Patios. Joinery - All interior and exterior joinery work is carried out by our highly skilled tradesmen. From staircases to attic loft conversions, we have the experience to carry out any necessary work you are thinking of having done on your property. Along with our plumbing and electrical sections, we can provide a comprehensive "all-trades" service to manage any project from a bathroom upgrade through to a full flat or house renovation. Painting - As a long established company with over 20 years' combined experience in the domestic sector, we are able to offer the most professional painting and decorating work available. 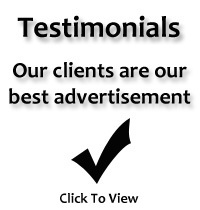 We take pride in the quality of our work and the professionalism of our experienced staff. Our tradesmen are fully trained, experienced and highly professional specialists within the decorating industry. Our company ethos is "small enough to care, large enough to achieve," with an absolute commitment to customer service. Stonework - All types of stonework and brickwork is covered. Electrical - We are equipped to carry out a wide range of electrical tasks from general repair and maintenance of domestic installations, through to full design and installation. Plumbing - Our plumbing services cover the following fields: Installations, Domestic Repair Service, Shower Repairs, Bathroom Installations & Lead Main Renewals. We offer a comprehensive plumbing service with the back-up of a large all-trades company with many years of experience. When you're looking to have any work carried out on either your home, it pays to have a professional company of great reputation carry out the tasks required.